An ultimate guide to buying a power bank helps you to choose the right power banks for your smartphones which enhance your gadget's lifespan and stop wasting money by buying unworthy products. Power banks are all the rage today. They are a wonderful technological innovation. Among all these hype about power banks, one gets confused and often ends up buying the wrong power bank. As far as power banks go, the first thing that people look for is its capacity. For instance, if you have a device which has a capacity of 2500mAh and you use a power bank of 2000mAh, the power bank will not be able to charge your phone fully from 0-100%. Whereas a power bank of 10000mAh capacity will be able to charge your phone completely from 0-100% a number of times. Ergo, while buying, make sure the capacity of the power bank is more than the capacity of your device. Another thing to keep in mind while buying a power bank is the voltage rating of the power bank and your device. Voltage rating means the specific voltage at which the device will draw current from the power bank to get charged. Suppose your phone has a voltage rating of 5V. A power bank with a voltage rating of less than that can drain and ultimately damage the battery of your phone instead of charging it. Similarly, a power bank with a voltage rating of more than 5V will result in overloading of the circuit of your device and can permanently damage your phone. Hence, it is always better to buy a power bank of the same voltage rating as your device to be on the safe side. Also consider the input current rating of your device. Most devices have a rate of 1A or 2A at a voltage of 5V. This implies that at a voltage of 5V, the device will draw a maximum current of 1A or 2A from the power bank to get charged. If your phone draws a current of 2A at a voltage of 5V, then your power bank should have the same output rating as 5V/2A. If it's less than 2A, it will charge very slowly as the phone cannot draw more than 1A from the power bank and ultimately lead to heating up your device. On the other hand if it's more than 2A, then it will charge perfectly fine as the phone will draw as much current as it needs. Therefore, it is advisable to buy a power bank with output ratings equal to or slightly higher than that of your device. Then comes the issue of reliability. 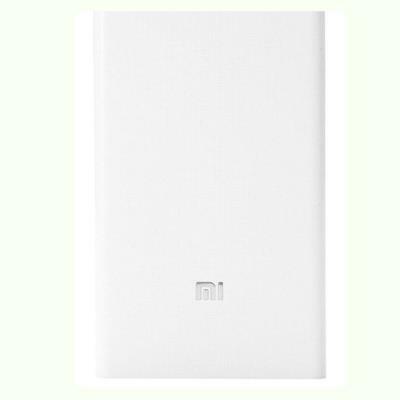 It is always better to buy a power bank which has a good brand like Xiaomi, ADATA or PNY. Also, many people end up buying fake ones. To avoid this, make sure you buy it from a trusted and verified source on Amazon or the official website of the company or a local store which you trust. Budget is a factor too which influences your buy. 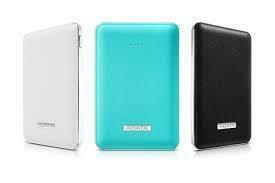 It is better to avoid cheaper ones and buy a more expensive power bank of good brand and quality. A lot of cheaper power banks can be duds or fake pieces. After all, you cannot keep investing in power banks regularly. It would be a waste of money. So, we recommend getting one good reputed power bank. However, this won't be a problem anymore since there are better deals available at much lower range on websites like Amazon. Then again, you will see some extremely high rated power banks at unbelievably low prices and may suspect those to be fake. In these cases, it is always better to stick to known brands. Also, look into the safety mechanisms of the power bank. The power bank should have relevant safety mechanisms to protect your device from conditions such as over charge, over discharge, over voltage, etc. To sum up, you need to look into the input and output ratings of your power bank and device, the capacity of both the devices, the brand and quality, and the price of the power bank to find one most compatible with your device. The actual capacity of a power bank is generally lower than the marked capacity. This is a known phenomenon and you need not get worried about it. The actual capacity of power bank is generally 80-90% of its marked capacity. The output is generally lower due to conversion losses such as AC to DC conversion, generation of heat, etc. The two most common cell types found in power banks are the Lithium-ion batteries and the Lithium-Polymer ones. While the Lithium-ion cells are cheaper and have a limited capacity, the Lithium-Polymer cells are better, expensive and do not suffer from a memory effect over time. Thus, you may prefer a power bank equipped with Lithium-Polymer cells. Batteries have a tendency to explode. Hence, it is advisable to buy a power bank from a reputed, renowned company than of one which you might have never heard of, just to save a few bucks and permanently damaging your device along the way. You may find the abbreviation QC mentioned in many descriptions of power banks. QC stands for Qualcomm Quick Charge. Qualcomm Quick Charge is a popular function of the power bank. Power banks equipped with Qualcomm Quick Charge take less time to charge it and charges compatible devices much faster too. Sometimes a power bank also works as a torch light. It sometimes comes in handy but you need to know that they are of low quality and low emittance. The flashlight of your smartphone would be a better option any day. Once you buy a power bank, try to use it regularly. If you don't have to use your power bank for a long period of time, try discharging and charging it often to maintain its performance. These are some basic things which would help you in buying a perfect power bank for your device. Remember to keep these things in mind while making a purchase and you are good to go.